Online Professional Capstone Projects Editing Services. A capstone project is an assignment by students in their final year at school or at the end of their academic program. They write an extensive paper showing their understanding of a topic after an independent research on a problem or question or engage in scholarly debates. To get good grades, you should submit an outstanding capstone paper. In academic writing, it is essential that someone else checks your work for errors. 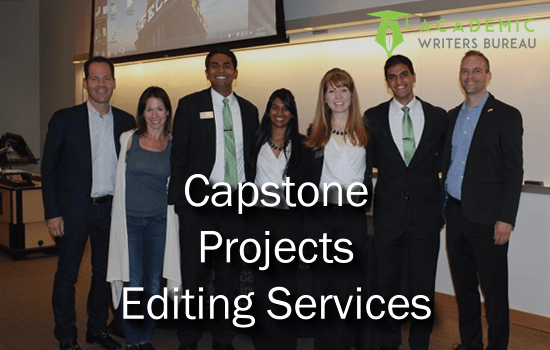 Academicwritersbureau.com capstone project editing services offer students a platform to find a professional editor. We are committed to helping students to submit quality brilliant capstone project papers that earn them top grades. Our editing is thorough to improve all areas of a capstone project. It is the reason we assign the editing to experienced professionals in correcting errors and ensuring that your paper includes all the pertinent information. 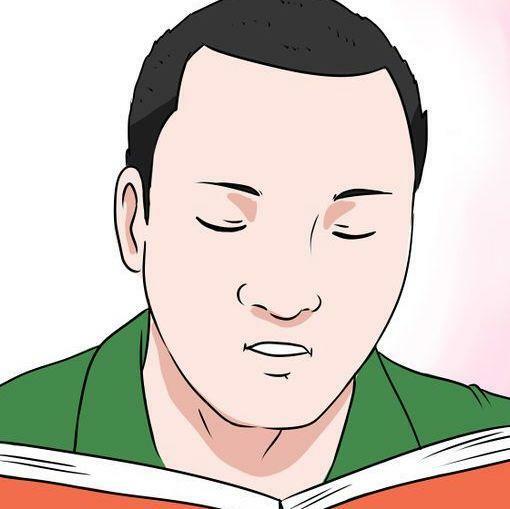 We assign you an editor who checks your work extensively to make sure that it is clear, logical, factually correct and consistent to form a harmonized error free harmonious document. Academic Writers Bureau has expert editors in all majors and fields. Inform us about your capstone project, and we will provide you with skilled editors from your field. The availability of editors from various academic areas enables us to edit all sorts of capstone projects including engineering, nursing, IT, management and design. The presence of MA and Ph.D. editors in our service enables us to offer capstone projects for all academic levels. A qualified editor in your field knows the precise areas to polish and in what way. You will get constructive editing and feedback that helps you to know your mistakes and use the information to improve your writing skills. Additionally, the editor will also correct mistakes in grammar, spelling, and formatting. AWB is determined to offer reliable service thus hires editors who are equal to the task. Our editors have Master’s and Doctorate degrees in various academic fields. All of them went through an instance screening process that ensures we only hire the best editors. The result of our effort is that we can provide capstone project editing help for any subject with confidence that we will find a specialist in the area to perform editing of the highest quality. To provide our clients with quality editing, we take all steps we can to meet their standards and those of their tutors. The first is a stringent recruitment procedure to enable us hires only the best editors. We draw our editors from advanced degree graduates in various fields. The editors also have several years experience, and we will choose one from the subject matter you are studying. We perform monthly evaluations to make sure that they continue to meet our rigorous standards. When you order for Capstone editing, we guarantee you of edited work that is free of grammatical, formatting and structural mistakes. Having Problem dealing with editing issues on any of your Capstone Project? We are committed to help you submit quality brilliant capstone project papers that earn you top credit. Our editors perform vigorous evaluations to make sure they meet your best specified standards. Who editors my capstone project? Is there a guarantee to meet all my needs? We always submit orders on time. Our services run 24/7 hence we send your edited order within time even when it falls at night. The cost of online capstone project editing service varies according to word count, academic level, and turnaround. I thank Academic Writers Bureau for excellent editing. My capstone project paper looks great after correcting errors that I did not think they existed. I was writing my first capstone project. I had challenges with formatting but thanks to your editors, it is now right, and my tutor is highly impressed. I am amazed that my editor corrected all errors in a capstone project and improved formatting within a short deadline.